Let’s imagine that the spinal disk of the human skeleton is a candy with some jelly inside. The inner part of the disk is softer than the cover, but what will happen if the cover is damaged? It will simply push out of claustration if the outer layer is ruptured. This is exactly what happens with the inner substance of the rubbery disk when it gets a crack. The example with the jelly candy perfectly explains us what is herniated disc. When the core part of the ruptured disk pushes out through a “hole” in the disk, it finds itself in a new unnatural surrounding. It is not supposed to be there and it is very possible that it will bother the nerves. That’s why people often experience pains in various parts of the body during slipped disk, since the nerves may lead to different body parts. The good news: the majority of patients do not suffer so bad that they need surgery and only about 10% of all patients require operative measures implementation. Some people are even so lucky that they do not feel pain although theirdisk has slipped. It is hard to say whether it is good or not, since those who do not experience pain and the other significant inconvenience may be not aware of their state. Although surgical interventionis not very common but this state needs special treatment. In any case the problem may disappear on its own if your situation is not very complicated. Herniated disc causes may be various, but in the majority of cases the patients and doctors cannot even define the certain reason for such a state. Basically this disease is often connected with aging processes – the bones and disks become less flexible and rupture or tearing may occur with more probability in 40’s rather than in 20’s. In some cases the hernia has traumatic origin, but this is not common although many people think that the majority of raptures are the consequences of traumas. - Aging processes in the human body, such as aging degeneration. – people with excessive weight definitely have more chances to get hernia-related problems. – people whose job includes heavy loads lifting, bending, pushing the objects, as well as the professional athletes, are under especial risk. The problem may develop into even more complicated states including caudaequina syndrome and so on. If your state worsens although you do all the procedures recommended by your curing doctor, and if you often feel weakness, sometimes cannot move or if you have troubles with doing the things ordinary for your regular life, you need to call emergency. Herniated disc symptoms are quite various and they mainly depend on location of the rupture and its size. In this article we would like to make a detailed description of different symptoms of herniated disc with various dispositions. In some cases you may not even have any symptoms of this disease. For instance if the hernia doesn’t press on nerve, it often happens that the patients don’t feel any discomfort. But in some cases they my experience some ache in the low back, although it is usually not very disturbing. On the other hand it is more common that the person who has hernia experience mild or moderate pains, weakness or torpor in an unusual part of the body. This is an expressive sign of the fact that the nerve in the area where the problem occurred is pinched. It can be completely another body part, and for example the disease may take place in lower back while the numbness may occur in right hand. This happens due to the fact that the nipped nerve may travel to anther body part and the real symptoms will declare itself exactly there. The type of the pain may help you to understand where the problem has occurred. Shoulder, chest and arms pains may have connection with rupture in the cervical. Again this happens due to the fact that hernia can pinch the nerves which lead to the other parts of the body. In some cases the patients experience leg pains and they are often sudden and unbearable. Long standing, sitting or even such regular and natural activities as stooling, coughing and sternutation may cause severe shooting pains due to the fact that damaged disk get sudden shock and displacement. If the symptoms of a herniated disc become unbearable, you may try to relief the pain trying to lie down and relax changing the pose. In some cases when the worsening of the state occurs during prolonged standing or sitting, it is necessary to go for a walk. 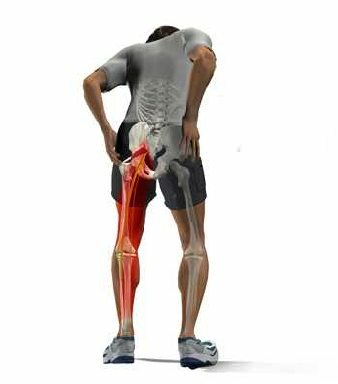 If you are definitely sure that walking is not your choice, and if you feel weakness in your legs or at least in one of them, it may be the indication of caudaequina syndrome or some other similar problems. Such symptoms are very disturbing and from your own state you will understand that urgent medical interference is needed. Hopefully this information will help you to get a fast relief and your hernia will be cured soon. Herniated disc treatment may vary a lot and may include various practices and procedures. All possible curing variations can be basically divided into three groups: conservative treatment, medicaments and therapy. Of course the doctors decide which kind of treatment is appropriate in every concrete situation, after carefully examining the patient and figuring out what kind of hernia the patient has. The least painful and bothersome ruptures are usually treated by conservative treatment for herniated disc. If the person experiences not the most severe pain and he or she can bear it and move forward, it is extremely important not to use more powerful and strong medication. The term “conservative treatment” includes a variety of specially developed procedures and exercises, massage and so on. About 90 per cent of all patients with hernia can benefit from this approach and it usually only takes 30-60 days of such treatment to bring a long-lasting relief to the patient. The principle of such approach is based on the fact that rupture and disc displacements can huddle over the time, and basically it is the best possible alternative to get rid of the disease. On the other hand we have 10 per cent of patients whose pains are much more significant and they cannot overcome hernia without additional medical remedies. There are plenty of different pain killing substances available on the market, but the most effective pain killers are usually the most dangerous for the human organs, body and brain, therefore it is important to understand that the difference is very big. While over-the-counter pain medications like ibuprofen and naproxen can only cause such mild side effects like problems with liver and stomach and intestinal tract bleeding, the more serious pain-killers are narcotics with such by-effects like aversion, reduced nervous activity and the other more serious disorders in the body organs. In the most severe cases the doctors prescribe nerve pain medicaments for instance tramadol, gabapentin or amitriptyline. In fact discal hernia is treated exactly with the help of such powerful pills.While in case of limb or back spasms muscle relaxants are more commonly implemented. They can cause giddiness and sedative effect. The least popular of all herniated disc treatment options is probably cortisone injections which are aimed directly to the zone where the pain arises. When the patient’s physical state improves a special rehabilitation therapy is often needed. It ensures full recovery preventing the relapse of the disease in the future. While half of all patients recover from herniated discin the low back after the first month of the curing process, the other people may require more resolute decision. Another 40% of patients with rupture recover after the half-year treatment term with the help of various, but what should the other 10% do in case if the conservative treatment and medical preparations do not bring the long-awaited relief? Herniated disc surgery may be a possible solution of the problem, but this is the most extreme arrangement and such measure can be considered only in case if everything indicates that no other treatment type can possibly help. - The patient’s ability to move is limited due to rupture and after at least a month of treatment there is no significant improvement in the state of the patient. - The diagnostic testing results indicate the necessity of the surgical aggression. Among the tests which can be a basis for such decision may be computed tomography, magnetic resonance imaging, etc. - Doctors examination shows that the patient experiences odd sensitivity, excessive feebleness and cannot move much. Even if all of the indicators mentioned above show that the surgical procedure is needed, there is still a necessity to discuss possible results, deflections and expectations with the doctor. Some factors may not allow the surgery to go through completely successful. If the operative intervention is chosen there must be a sufficient cause to believe that it will promote fast convalescence, while all other types of treatment will not be able to promote such results. Some patients choose the surgery for herniated disc in case if their work or the other vital circumstances require them to recover as soon as possible. Of course all patients want to get a fast relief, but in the case with hernia it is much better for the organism if this disease can go away on its own. Elder people or the patients with the other spine diseases are often required to have surgical procedure due to their overall health state.